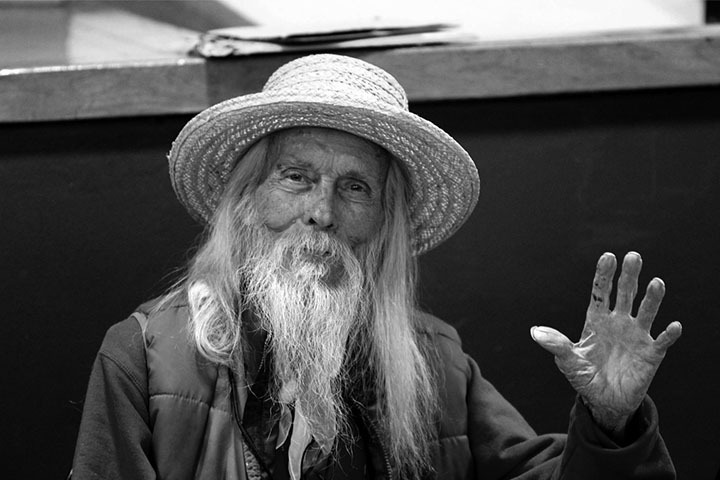 On Christmas Day 2015, George Clayton Johnson passed from this realm to the next. I first met him on a street in Hollywood. What he was doing there that day, I don't know. I was roaming around, checking out the sights, as I was still new to the town and still fairly stunned that I actually was living in LA. At some point, I saw walking towards me, a gentleman in a straw boater and with a gentle smile. I recognized him immediately; there was no mistaking the man. I caught his eye and smiled and put my hand out to introduce myself. "Oh!" he said with a wide smile, "I know you. You're the writer!" After I pulled myself up off the ground, I admitted that I was surprised he knew my name and he said—I will never forget this—"Who doesn't know Jessie Lilley?" I figure there are several million people who never heard of me, but you wouldn't know it from George. We walked together for over an hour, just chatting about this and that and then we went our separate ways. George and I saw each other at Forry Birthday parties, horror conventions and best of all, the Paperback Book Show in the Valley. There we could visit and share a smoke and catch up. I drove him home from that show several times over the years. More time to converse. More time to learn. And now there is no more time. I shall miss this darling man. With his passing, a small part of my heart shrivelled and died with him. There was no one else like George. in his portrait entitled FICTIONEER, depicting the author and some of his characters. 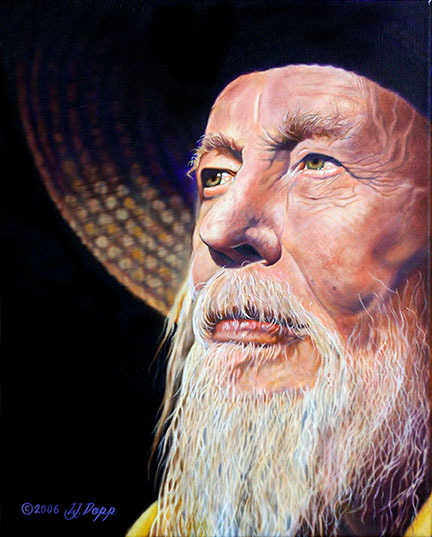 All original artwork related to this George Clayton Johnson Celebration is © L.J. Dopp and may not be used without the artist's permission. George Clayton Johnson has left us. He also left us exquisite works of science fiction and fantasy. He was one hell of a writer, and one of the most unassuming famous people I ever met. Of the unforgettable episodes of The Twilight Zone that he wrote, my favorite is "A Game of Pool." I like it even better than the classic movie, The Hustler. The Johnson script takes the idea of a balls-out pool game between the acknowledged greatest player and a desperate newcomer, but isn't restricted to the mundane world of prosaic reality. We're talking about the Zone. Jonathan Winters is Fats Brown, master of the game. Jack Klugman is Jesse Cardiff, the hungry man with something to prove. He must beat the best to be the best. The only difficulty is that Fats is dead. That would normally be a problem, but not in the Zone. When shooting pool with a ghost, the stakes can be your life. In the competitive world of Hollywood, George knew all about soul testing trials. Perhaps the only way to preserve your soul is love of what you do. That's true, whether the last sound you hear is a keystroke—or a ball dropping into a pocket. Everything ever written by George Clayton Johnson is about a life with integrity. You can't cheat death. The trick is not to cheat yourself. "Johnson was one of the few writers of the fantastic who created character studies (especially in his work for The Twilight Zone). The characters are just as memorable as his clever and imaginative situations." Character is what comes out of conflict. George had a difficult childhood. He was born in a barn. That's why it was no surprise that some who experienced his gentleness and charity noticed that he was born in a stable. His writing is timeless. He never confused sentimentality with true sentiment. 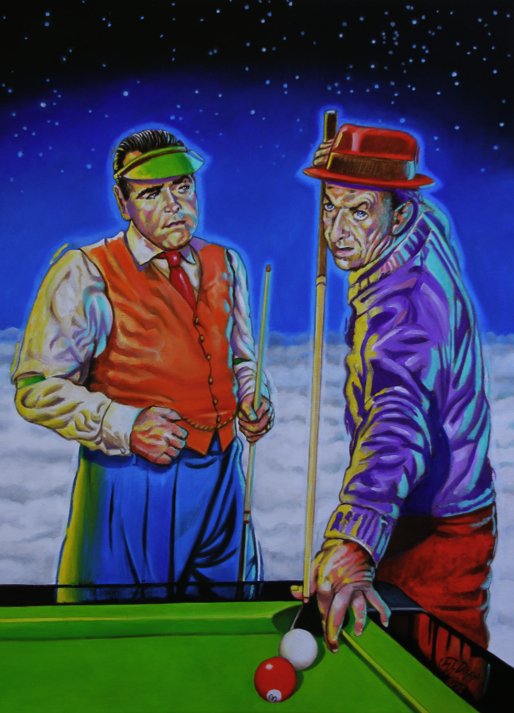 His original ending to "A Game of Pool" was tougher than the one Rod Serling preferred. A later incarnation of The Twilight Zone used the original ending. They both show the burden of fame. His other tales in the Zone are about normal people. They were never far removed from what he referred to as "the paradox of existence." The most famous one is "Kick the Can," about which I'll have more to say later. Beginning with Rod Serling's adaptations of his short stories, "The Four of Us are Dying" and "Execution," George Clayton Johnson entered the Fifth Dimension, beyond that which is known to man. Welcome to THE mind-blowing TV series of the 1960s. George sold the script for "A Penny for Your Thoughts." His next script, "Nothing in the Dark," visited a common theme for the show, the personification of death. Then came his scripts for "A Game of Pool" and "Kick the Can." Two other of his short stories were adapted: Charles Beaumont did "The Prime Mover" and Richard deRoy did "Ninety Years Without Slumbering." 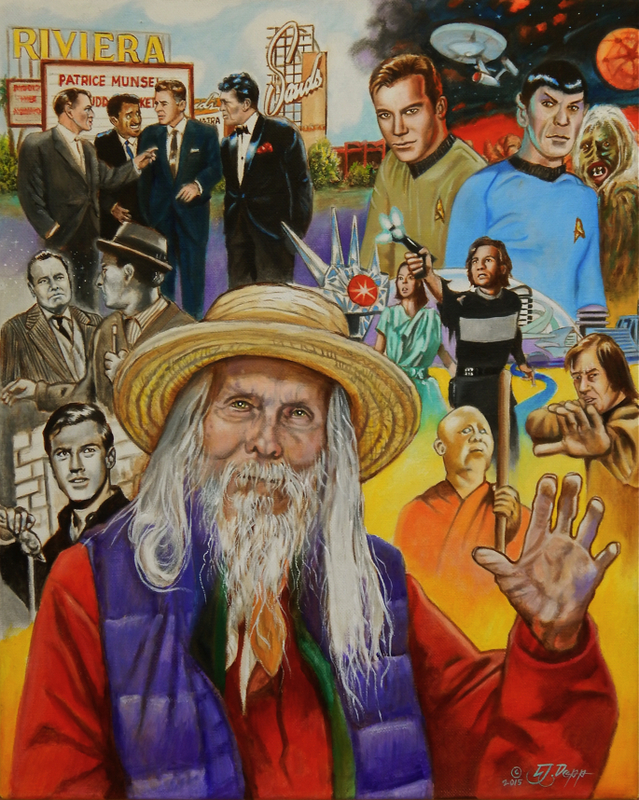 "With the passing of George Clayton Johnson we've lost one of the major creative forces in the science fiction/fantasy realm, a man who made iconic contributions to both the literary and dramatic ends of the entertainment business. Many writers have made a reputation with stories and scripts produced on the original Rod Serling The Twilight Zone or Star Trek: the Original Series. 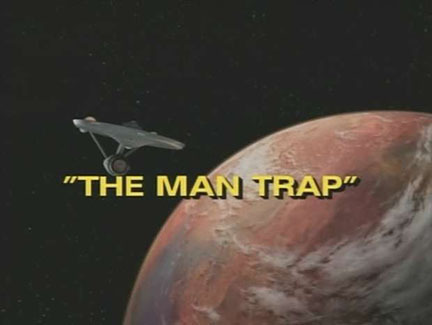 Johnson did both with some of the memorable episodes of TZ, including "Kick the Can," "Nothing in the Dark" (an early feature role for Robert Redford) and "Ninety Years Without Slumbering" with Ed Wynn, and the first aired episode of Star Trek, "The Man Trap." But just noting those leaves out his co-authorship of Logan's Run, scripts and stories for other TV series, including Alfred Hitchcock Presents, Route 66, Sea Hunt, and Kung Fu—before we even get to his having created the story for the Ocean's 11 movie with Frank Sinatra and the Rat Pack, with remakes for George Clooney. What a powerhouse imagination!" A writer writes. Win or lose in the cosmic casino of the ultimate meme pool, a writer writes! Neil covered a lot, but there's always more. George wrote for the TV shows Honey West and Mr. Novak. We don't have time to discuss all his short stories. He did a lot, not all of it well publicized. "I had the pleasure of being at U.S.C. Film School where George was a legend. I sat in on a lot of his classes. Anyone who's written that many classic episodes of The Twilight Zone should be commended and revered." "You know, when I think back on all the times I ran into George (and it wasn't just running into him at the obvious places like science fiction conventions and LASFS but also at various screenings and all sorts of parties scattered all over L.A. and Hollywood and Beverly Hills), the thing that most stood out about him was that it was never about him. "He was one of those special zero attitude people who you sometimes run into in the film industry (and, fortunately, it's not as rare as you might think - other zero attitude industry people who come to mind include Pamela Anderson and Liam Neeson, among others, so it's always a pleasure to run into them) so the conversation would invariably take off into this or that horror or science fiction or fantasy film or discussions about this story or that novel or various writers within the science fiction, horror and fantasy genres . . . and the interesting thing was, it was never about his own extensive body of work, unless, of course, you chose to take it there. Indeed, I only found out that he was ghostwriting and script doctoring from some of the producers I work with, but George never mentioned that to me (but once I learned about it, I always thought it would be really really cool to have him clean up one of my projects, but, alas, that will now never be and I never had the chance to discuss that possibility with him). But I just remember a really incredibly nice guy who was always happy to see you, always there with a smile, and who always downplayed his brilliant and impressive history as a spectacular writer within the film and television industry, and it's that modesty that I remember on a personal basis, that he'd rather talk about you and whatever you were working on, that he had nothing to brag about even though he could if he so chose—that's what I remember about George up close and personal. "And just writing that sentence alone brings a huge wave of sadness over his departure. He was that kind of special. And in the future, whenever I'm at those conventions, those screenings, those parties, I'll look around and realize he's no longer there and never will be again and it will always be different and emptier somehow and I will always feel that loss. That was that thing about George, and it will always always be." George as an inspiration was the man I knew. He made himself available to so many. We met because we were both in the Ray Bradbury and Forry Ackerman circles, the best Merry-go-round in the world. Readers of Mondo Cult should give themselves a treat, and track down the animated short of Ray's "Icarus Montgolfier Wright," with a script by George . . . by George! I met William F. Nolan, George's co-author on Logan's Run. I enjoyed complimenting the two of them on their stint as film actors. In Roger Corman's The Intruder, starring William Shatner, Johnson and Nolan appear as really nasty villains. Yet another collaboration! George could do a lot of things. The interview conducted by L. J. Dopp leaves us with fond memories and wisdom from this man. The paintings by L. J. Dopp reminds us of how we felt every time we encountered this man. I loved talking with George about the neglected art form of the short story. While everyone else wanted to hear him wax poetic on how to write the perfect script, I preferred this other topic. He knew everything about turning an idea into a mood, then expressing it through a character. "I met George Clayton Johnson in 1985 at a writer's meeting in Burbank. We hit it off with a great conversation and remained friends for thirty years. He would always come to my annual Halloween party, and I'd always try to put him in my films. He really loved playing the Opium Vampire in my adaptation of 'Her Morbid Desires,' in a part I wrote for him." There's one more thing, as Lt. Columbo might say. But first, I promised to say more about "Kick the Can." This was such a popular episode that it was selected to be filmed again as one of the stories in Twilight Zone: the Movie. A character study born of a sublime idea, it never grows old. What if the elderly could regain their youth by playing a simple child's game? There's no simpler past-time than kicking a can. For some strange reason, "Kick the Can" was one of my favorite episodes when I was a kid. Maybe I realized that one day I might be old enough to want that magical can hidden away somewhere. Most kids can't wait to grow up. I was already reading Bradbury and realized there might be a downside to maturity. So, time passes. I'm in LA during the years under discussion. I'm all grown up. I've been divorced for some time. That seems pretty grown up. Thanks to Buddy Barnett, Kathe Duba-Barnett, Chuck Williams and Ed Plumb, I was able to fulfill a childhood fantasy about "Kick the Can." Let me tell you about it. I have Original Story credit on Spacebabes Meet the Monsters. After various drafts of The Low Budget Time Machine (the working title) had become a shooting script by the producers, the time had arrived to make the film. I was invited to the location at a second house that Ed owned in the Palmdale Desert (a truly alien terrain) to watch the filming. George was cast as the harmonica player. With one foot in fandom and one foot in prodom, I stumbled into one of my typically wonky ideas. The thought was: Gee whiz, how is that George Clayton Johnson is still alive in this post-apocalyptic future world? The answer was: If he'd been kicking that magic can from his Zone episode all those years, maybe he would never die. Now, this crazy notion was after the script was locked (as they say in the biz). All I had was this last minute gag, and a few scribbled notes. Kathe was the director. She went along and allowed this into an already tight schedule, when a lot had to be finished before the daylight faded; before the twilight, one might say. All one has to do is purchase Spacebabes Meet the Monsters from Alpha Video (www.oldies.com) and check out the supplements. The viewer will find a sweet little bit of George ad-libbing his dialogue, and kicking that damned can. He took my simple gag, and like a fine jazz musician explored the theme every which way, and made it his own. That means I sort of collaborated with George Clayton Johnson. My only regret is that we didn't have a real magic can; and we know from the story, true faith can imbue the most humble objects with special powers. In my mind's eye, George is still playing that children's game from the days when poverty could not hold back the human imagination. Youthful enthusiasm is forever, and ever. Click the link to go directly to L.J. Dopp's "A Conversation with George Clayton Johnson".